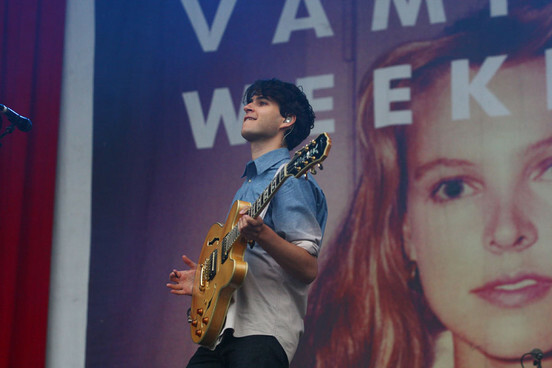 Life Lenses: Vampire Weekend: genious or precocious? 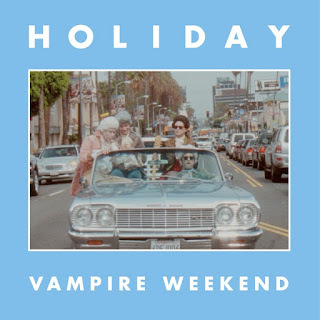 Far from being the emo/goth/rock-genre band that the name might suggest, Vampire Weekend are a refreshing indie fusion mix of talent and creativity. 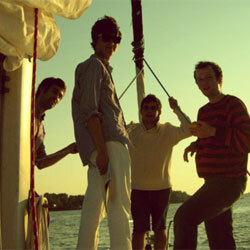 Their music is complex in structure, deep in lyric and uplifting in sound. 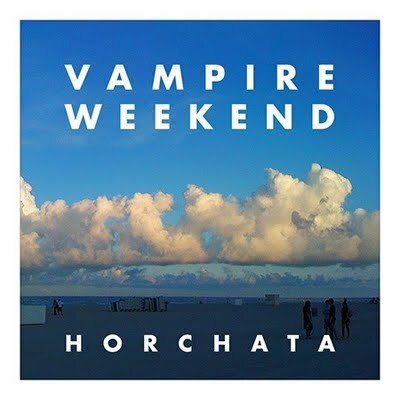 Often under-rated, I am going to write a short piece about their music and lyrics in the hope that more people can enjoy the music at another level. 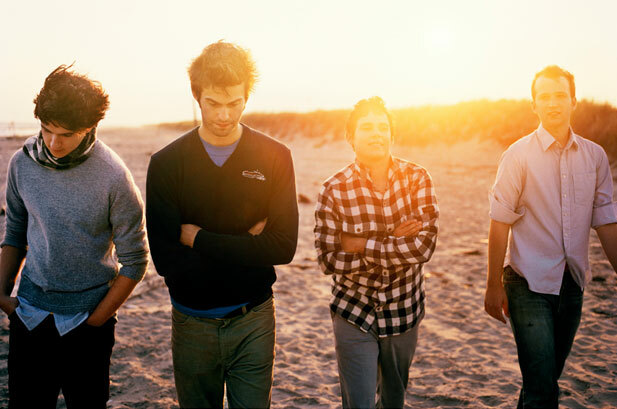 Vampire Weekend is an American indie rock band from New York City, that formed in 2006 while at Columbia University. 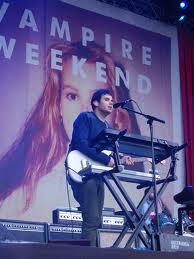 The band has four members: Ezra Koenig, Rostam Batmanglij, Chris Tomson, and Chris Baio. 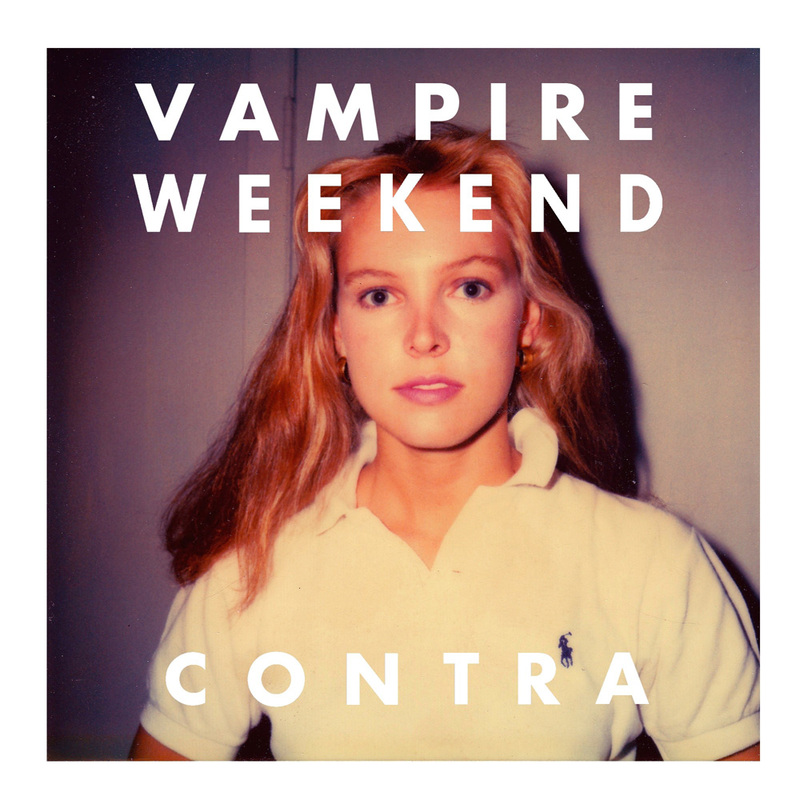 "the title of a short film project by Koenig. 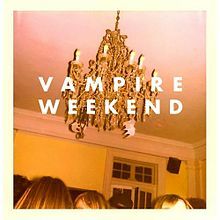 Koenig believes that the vampire imagery of their band name helped spread their work across the internet, attracting people who might otherwise never have listened to their music. Rumors say that that the band did consider to name their band simply "Weekend" but they eventually chose "Vampire Weekend". 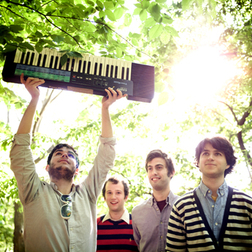 Lyrics - Interesting that Koenig was a middle-school teacher of English, as the lyrics in most of their songs strike me to be more like poetry. 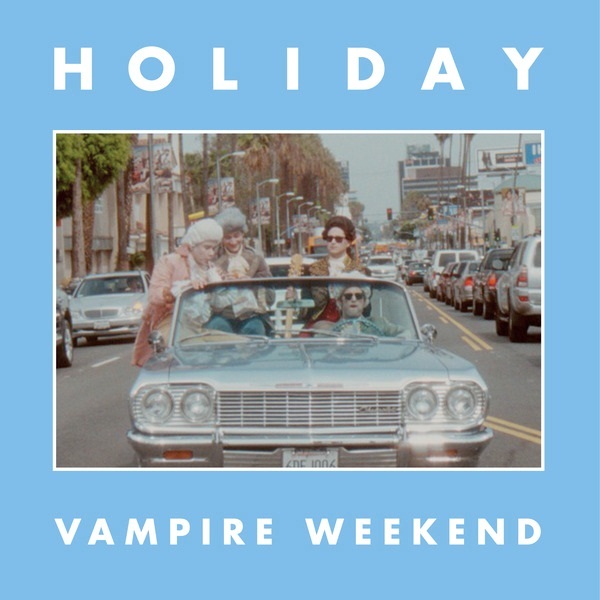 Deep and insightful, and at times deliciously witty, Koenig's lyrics have the ability to be at once chant-able and catchy, yet profound and analyse-able on closer inspection. 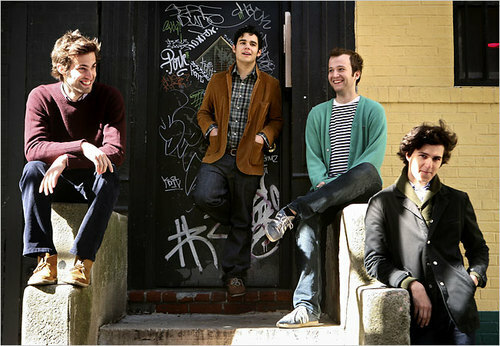 Under your tweeds you sweat like a teenager"
"No excuse to be so callous, Dress yourself in bleeding madras, Charm your way across the Khyber Pass"
"Walk to class, In front of ya, Spilled kefir, On your keffiyah"
Live in lies of desire "
The music itself is not your standard indie pop, although that does play a role - but it influenced by different genres, including Aftrican music. 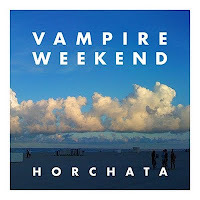 With Koenig's distinctive barking vocals, innovative use of instruments, and often pairing melancholic lyrics with up-beat happy sounds - the musical style of Vampire Weekend is both recognisable and versatile. 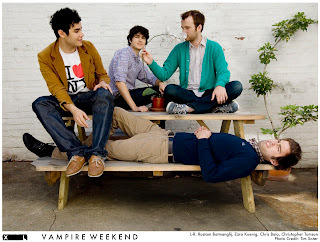 "Vampire Weekend's influential and signature "preppy" fashion sense was allegedly inspired by their friendship with LA fashion designer Bryn Lander, after whom their song "Bryn" was named. 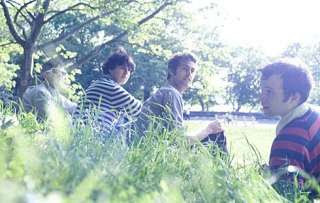 This relationship is not unlike that between Astrid Kirchherr and the Beatles (whose famous hair cuts are rumored to be Astrid's idea). As homage to her influence in their style and the style of bands that followed them, Vampire Weekend's song "Bryn" is now being used to launch Bryn Lander's latest fashion boutique."